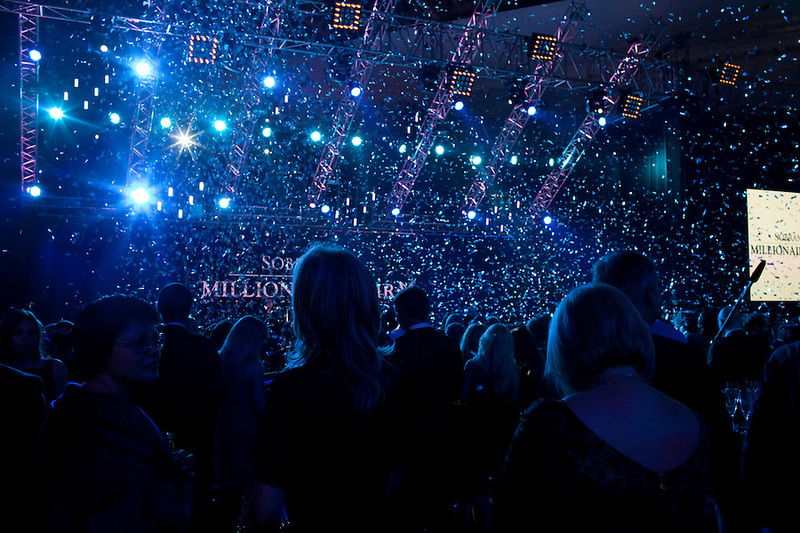 Moscow, Russia, 23/10/2009..Ticker tape falls on guests at the opening of the Millionaire Fair in Moscow. The event has become an annual fixture, attracting thousands of would-be and existing Russian millionaires to view and purchase a wide range of luxury goods. This year however the fair was much smaller, an indication of how the formerly booming Russian economy has been hit by the world financial crisis.